Mazda Sportscar Club of Washington Inc.
Wednesday, March 6, Silver Diner, Tysons Corner, VA.
Wednesday, April 3, Silver Diner, Tysons Corner, VA.
Wednesday, May 1, Silver Diner, Tysons Corner, VA.
Wednesday, June 5, Silver Diner, Tysons Corner, VA.
Wednesday, August 7, Silver Diner, Tysons Corner, VA.
Wednesday, September 4, Silver Diner, Tysons Corner, VA.
Wednesday, October 2, Silver Diner, Tysons Corner, VA.
Wednesday, November 6, Silver Diner, Tysons Corner, VA.
Wednesday, December 4, Silver Diner, Tysons Corner, VA.
We meet on the FIRST Wednesday of each month (unless otherwise noted above). Socializing starts at 7:00pm followed by the indoor meeting at 7:30pm. 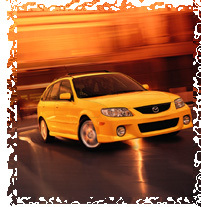 Social gatherings/meetings are generally 1.5 hours, all Mazda makes and models are invited. Weather permitting many members and guests can be found in the parking lot both before and after the monthly meeting. 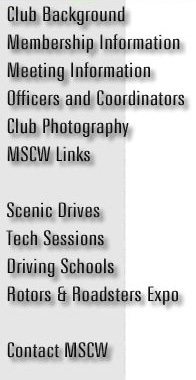 Meeting discussions generally include club announcements, upcoming events, recent events, industry related guest speakers, special member promotions, industry/Mazda corporate news, shop recommendations, recent repair experiences, product showcase items and trading post items.